The craft scene in Utah has boomed in recent years beyond what anyone probably thought it would, to the point where it has become its own independent art scene that rivals the traditional scene, if you could call our art scene ”traditional.” --- With the growth it's seen, more festivals and events are popping up throughout the area, especially in Salt Lake City and Provo, where the largest amount of crafters reside and sell their goods to a marketplace that's just eating it up and wanting more. Gavin: Hey, Emily. First thing, tell us a little bit about yourself. Emily: I'm a mom of two boys, and quit my day job as a technical writer for a software company to be home. I love fashion and have been in that world for nine years as either a freelance stylist, fashion editor, or visual stylist and merchandiser. 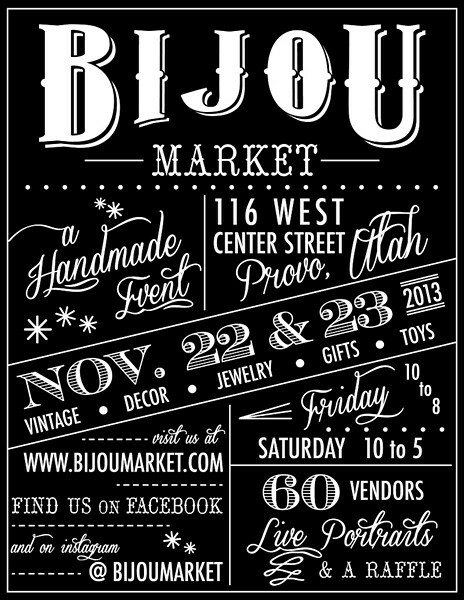 Somewhere in between college life and motherhood, I started Bijou Market. Gavin: What first got you interested in crafts, and what drew your attention toward fashion? Emily: I've loved fashion since I was a toddler. My mom got me to quit the pacifier by trading it for some patent-leather Mary Janes at 4 years old. 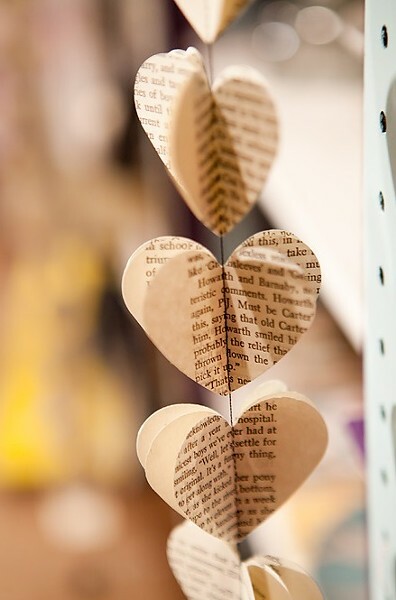 Crafting came out of necessity -- if I couldn't find something I envisioned in stores, I'd figure out a way to make it! Gavin: What was it like for you starting out and getting noticed on a local level? 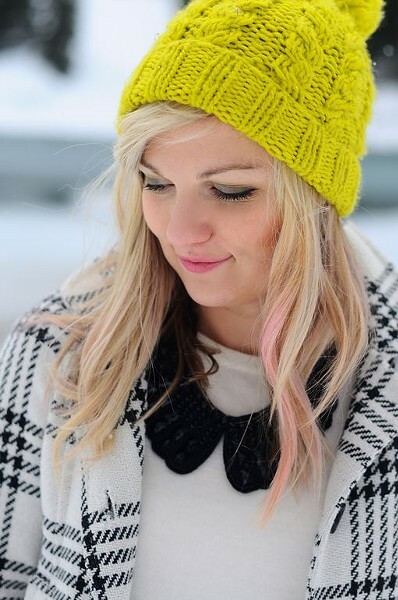 Emily: My business partner for Bijou, Rashelle Johansson, was also my co-crafter when I started out as a vendor, and I remember selling at our first market together with a pit in my stomach, wondering if anyone would like what we made. We sold out that night and it was such a high! Gavin: What made you start up an Etsy store rather than selling through retailers? Emily: Etsy is so much less demanding. You can list what you can actually handle versus making over 100 items up front for a retailer; less risk, and bigger reach. You can also keep up with trends faster, and make quick changes and improvements. Gavin: How did you eventually get involved with Square Magazine, and what was it like working for them? Emily: I worked on a visual team at Gap with the founder, Matt Clayton. It was usually just he and I dressing mannequins early in the morning, and he told me about this crazy idea to start a magazine. What seemed like weeks later, he asked me to model for him for a spread for the first issue, and bring clothes and accessories to help style the other models, too. Somehow, he just couldn't get rid of me! He gave me the official title of fashion editor, and I had an absolute blast styling spreads for the 20+ issues we released. Matt is such a creative powerhouse and it was such a good springboard for so many opportunities. Gavin: You've also become a busy blogger with Ruffling Feathers, and still continue to write for and edit Small Fry. What's it like for you keeping an active role in the blogging community? Emily: The blogging community is tightknit here in Utah. It seems like most everyone knows each other and is really supportive. There's a real sense of collaboration and I love that. It's a definitely active community with lots of functions and parties, so it's all about balance. I have the most incredibly amazing readership from my personal blog and Small Fry. They're so supportive and loving, and I've made awesome friendships from those avenues. I feel really lucky! 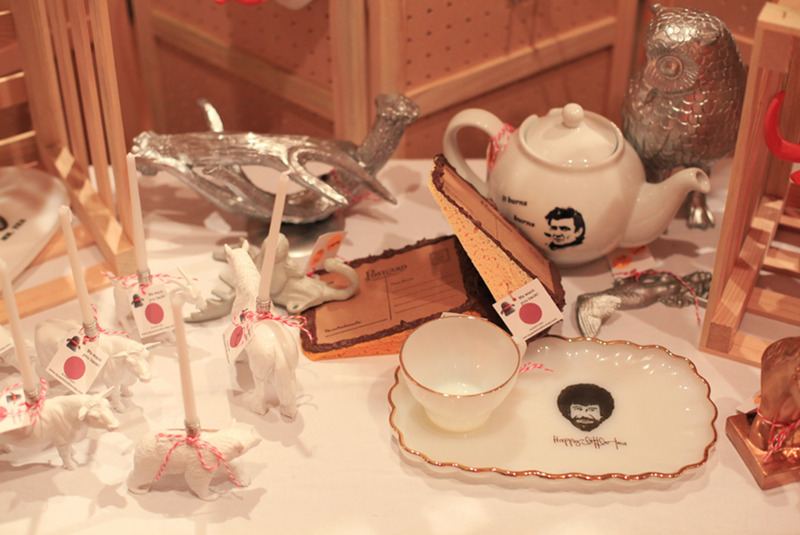 Gavin: When did the idea come about to start up your own craft market? Emily: My friend and co-founder, Nicole Christensen, was making and selling skirts around the same time Rashelle and I started making our line of accessories. Nicole suggested we do a party. It went from two shops to 15, as we asked fellow crafty friends. The line was out-the-door for our little two-hour party, and we made more money than we would in a month on Etsy, so we figured, "Why not do it again?" We just kept building and changing venues until we found our home at Southworth Hall. 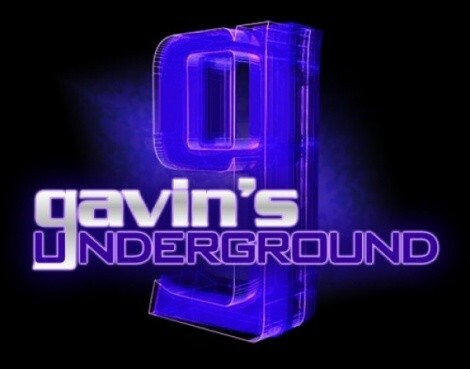 Gavin: Who did you end up working with to start it up, and what was it like planning the event out? Emily: It was just Nicole, Rashelle and me. The market grew exponentially each time, and as our needs changed we taught ourselves how to run a business of this size. The learning curve was intense; we had a few hiccups that still make me shudder to this day, but we figured it out. The system perfects itself each year, and we adapt and change with trends, not only for what we sell but for how we advertise. Gavin: The first Bijou Market started in 2009. What was the initial reaction from visitors and participants, and did you know you'd be returning for a second event right away? Emily: It was two hours long with 15 vendors, and the line was out the door the whole time. We couldn't believe it! There were obvious improvements to be made, like length and space, and vendors, so we wanted to try it on a bigger scale. When that one had lines out the door for a 10-hour day, again we improved and adapted. Every year, we joke that we can't believe we're still doing it, but this community shows us each year that the need and want is there for Bijou. Gavin: What kind of planning goes into choosing who to bring into the market each time, and how do you narrow down all the participants? 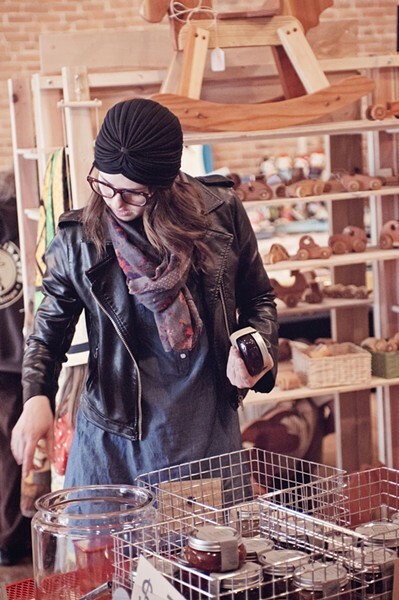 Emily: We do a little bit of scouting at markets in Salt Lake and by keeping our eyes open on Etsy, but the majority come to us, and then it's just a matter of it being truly handmade and original, or an awesome vintage collection. Then, we just ask ourselves the question: "Would we wear it, buy it, or gift it to a friend?" Not that our taste level is the end all, be all, but if we're proud to show it at Bijou, then that is the only requirement. Since we get a pretty good amount of applications but we only have space for 60, we then split applicants into categories, trying to represent each one equally. If vendors make similar things, we usually just accept one of them, or if they have a good variety, we'll simply ask them to leave that item at home. Diversity and originality are vital in this setting. Gavin: What made you decide to keep the market in Provo rather than moving it around to different cities each year? Emily: We gave Salt Lake City a shot a couple of years ago, which was so fun. We've scouted locations in Arizona and Las Vegas, even, but at the end of the day, we are both stay-at-home moms, and the time commitment for our Provo market is just right. Gavin: Have you given any thought to expanding the market beyond two days, or going seasonal, or are you comfortable with the way it's being held at the moment? Emily: We've found that our shoppers look forward to this event all year. Because they know they can't find these items on Monday, they are willing to make the investment right then. I think if it was a full-time brick-and-mortar, it wouldn't be as successful for our vendors. Also, as an ex-vendor, I know how much work it takes to create enough product to fill a booth, and doing that for a market of this size more than twice a year overwhelms even me, and I don't even have a booth anymore! So many of our vendors have full-time jobs, or are stay-at-home parents, and they only sell at our event and that's it because they don't have time for more. Gavin: Tell us what people can expect at this month's market. 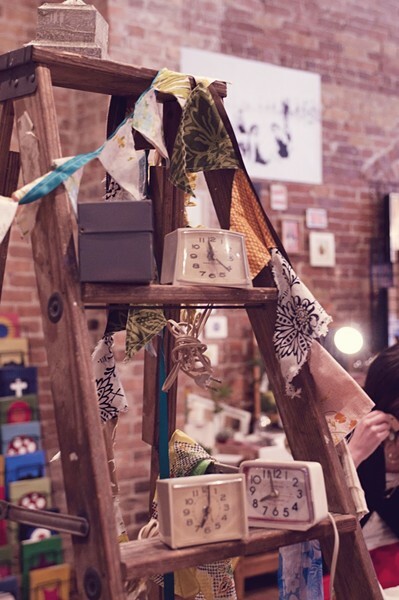 Emily: Almost half our vendors have never sold with Bijou before, which is always so thrilling -- home decor, jewelry, handmade and vintage clothing for adults and children alike. We have incredible homemade health and beauty vendors, toys and gifts, and our fan favorite, live portraits. 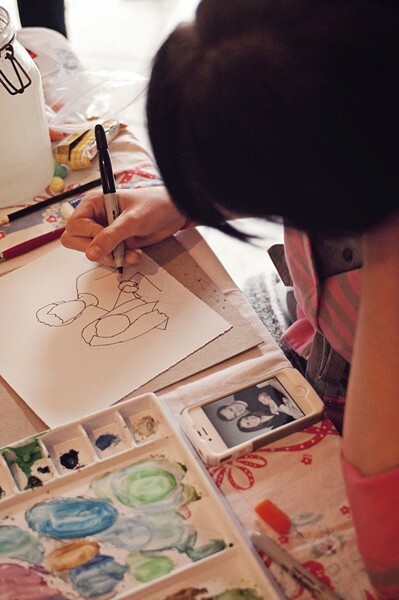 Shoppers can sit and have their portrait drawn on the spot, or leave a photo while they shop. We have three distinctly different artists sitting this year and it's going to be awesome. 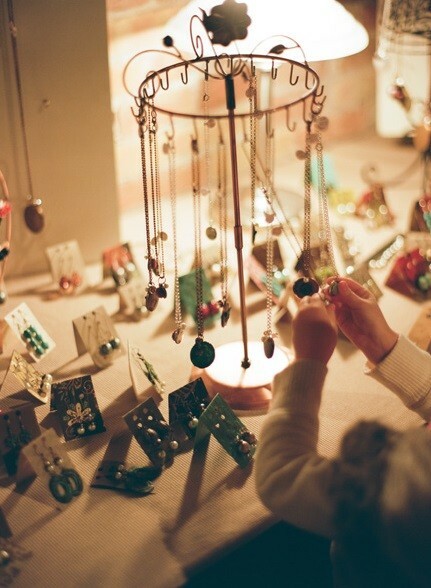 Gavin: Who are some artists and crafters you're looking forward to showcasing at this event? Emily: Clifford and Sons MFG has incredible wood toys, Millcreek Apothecary makes an aftershave that we hear will change your life. Quirky home decor, like cement vases, a ceramic vase you can plant your flowers in, handmade pirate and mermaid dolls by Green Stitches -- it's such an eclectic and high-quality showing this year; we're really proud. Gavin: What are your thoughts on the craft scene, both good and bad? Emily: Pinterest and the DIY blog world have made crafting more maintstream, which is great, but also makes it harder to be original and unique. We've seen vendors rip off one another and it's pretty sad; we don't tolerate that at all. Gavin: What's your take on events like Craft Sabbath, Beehive Bazaar and Craft Lake City and the work they're doing to promote local craft? Emily: We love our fellow markets! Supporting the local community is so vital and we're so proud of this state's impressive collection of options. Not only that, but handmade and vintage goes hand in hand with recycled and repurposed materials, so it's good for the environment, and you know it's ethically sourced. We're the rookies in that list, but we have our own unique voice and aesthetic, not to mention demographic, apart from each of them and that's important. Gavin: With everything seeing a boom, where do you see our craft scene headed in the next few years? Emily: The thing about creativity is that it never runs out. Creativity breeds creativity. I think if everyone can keep their humanity and morals about them, handmade will be a contender for years to come. Gavin: What can we expect from you and the Market over the rest of the year and going into next? 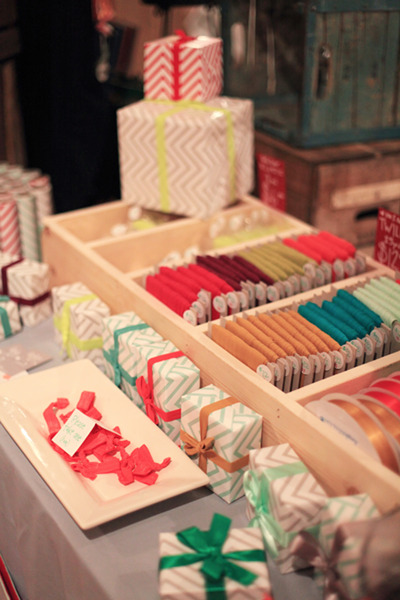 Emily: I will always champion the handmade movement, so Bijou is my best tool for that. Writing for Small Fry gives me an even wider audience to share these awesome shops. I love that they can work hand in hand. 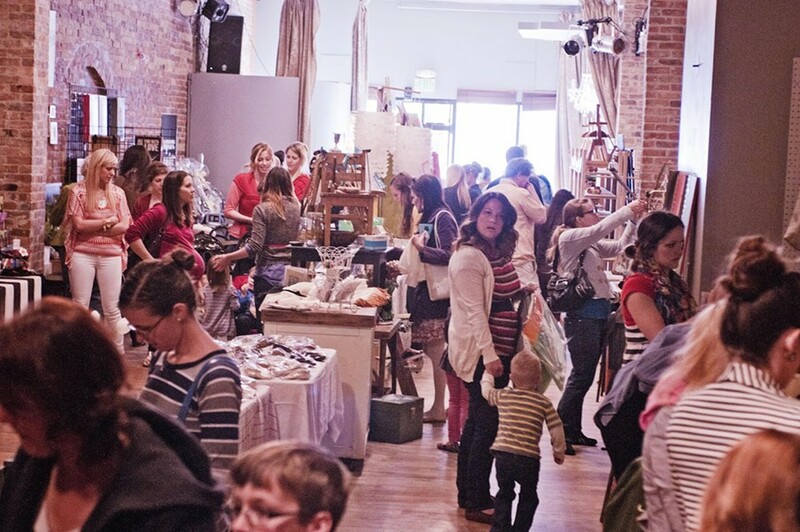 Emily: One vendor will be there who makes purses where 100% of proceeds go to Pound the Pavement for Parenthood, which sponsors couples who can't afford fertility or adoption costs to start their family. It's an awesome cause, and buying a bag can literally change a life.